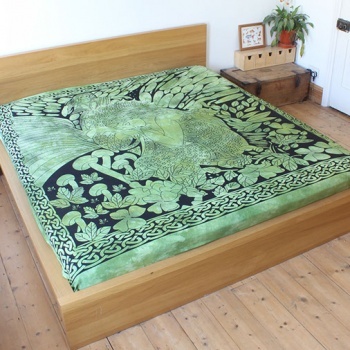 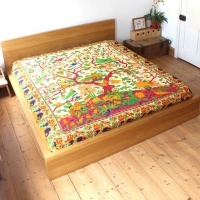 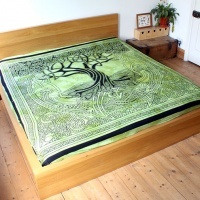 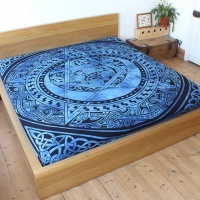 Brilliant, pure cotton bedspread with a inspiring tree with faerie design. 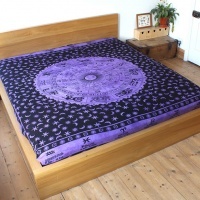 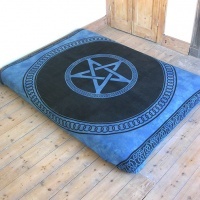 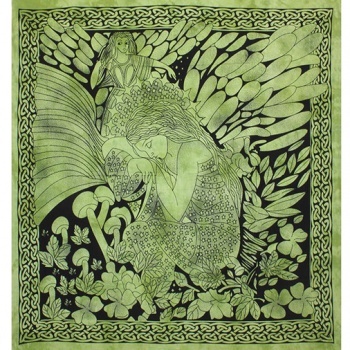 These huge handmade Indian pieces are great as throws, bedspreads or wall hangings. The base colour for the fabric is tie dyed to give a lovely tonal depth, before the design is carefully printed in a rich black.